Basing a luxury SUV on a rugged mainstream vehicle is nothing new. Cadillac, Lexus, and Lincoln have used this approach to great success, so naturally Infiniti adopts the same philosophy by dipping a Nissan Patrol in a vat of leather, wood, chrome, and sparkly paint, and christening the result the QX80. It’s been nearly a decade since the current Infiniti QX80 debuted for 2011 (it was called the Infiniti QX56 back then). That’s an eternity in car years, but the QX80 did receive a freshening for 2018. At that time, updated styling, improved interior materials, enhanced cabin quietness and storage, and upgraded technologies were intended to give the aging luxury SUV an extension beyond its natural expiration date. 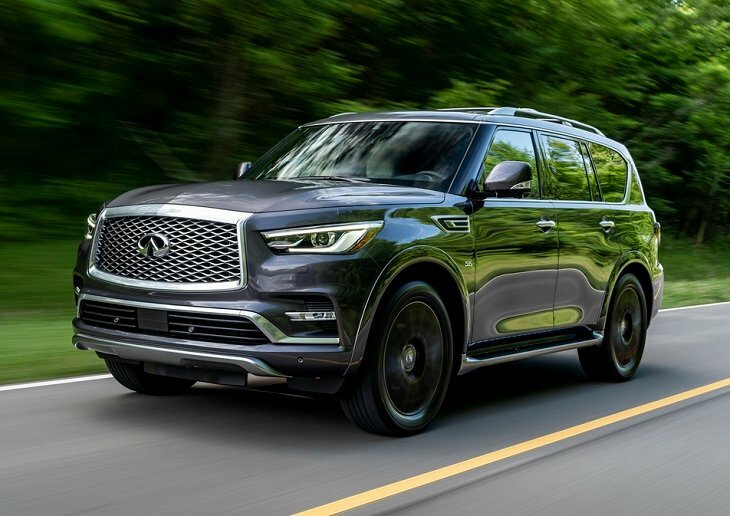 This year, Infiniti debuts the new 2019 QX80 Limited. It tops the lineup with huge 22-inch forged aluminum wheels, satin chrome exterior accents, stainless steel running boards, welcome lighting, and an available exclusive Anthracite Gray paint color. Inside, everything comes standard with the QX80 Limited, which has special 2-tone semi-aniline leather and Alcantara upholstery, premium leather for the steering wheel and shift knob, open-pore wood trim, satin chrome accents, and Ultrasuede for the headliner and roof pillar covers. For this review, J.D. Power evaluated an Infiniti QX80 Limited equipped with the extra-cost Anthracite Gray paint, an All-Season Package with rubber mats, a Wi-Fi hotspot, and a carpeted center mat. The price came to $92,520, including the $1,295 destination charge. Before we discuss the results of our evaluation of the QX80, it is helpful to understand who buys this large premium SUV, and what they like most and least about their vehicles. Women make up a larger proportion of QX80 owners than they do at the segment level (41% vs. 25%). Infiniti QX80 owners are also younger in terms of median age (51 years vs. 58 years), and earn less in terms of median annual household income ($256,250 vs. $277,837). Nearly half identify as Performance Buyers compared to a third of all large premium SUV owners (44% vs. 34%). Built in Japan, the QX80 is purchased by people who disagree that buying a vehicle from a domestic company is important to them (74% disagree vs. 48% for the segment). Only 17% of QX80 owners agree that fuel economy is an important consideration when choosing a new vehicle (vs. 28%), which aligns with how many of the Infiniti’s owners agree that they would be willing to pay extra for a vehicle that is environmentally friendly (43% vs. 51%). Infiniti QX80 owners more often disagree that a vehicle is just a way of getting from place to place (82% vs. 75%), and fewer agree that they need a versatile vehicle to accommodate a busy lifestyle (81% vs. 87%). They are also less likely to agree that friends and family think of them as someone who knows a great deal about autos (66% vs. 72%). Owners report that their favorite things about the QX80 are (in descending order) the exterior styling, driving dynamics, interior design, seats, and visibility and safety. Owners indicate that their least favorite things about the QX80 are (in descending order) the engine/transmission, storage and space, climate control system, infotainment system, and by a dramatic margin the fuel economy. In the sections that follow, our expert provides his own perceptions about how the Infiniti QX80 measures up in each of the 10 categories that comprise the 2018 APEAL Study. Until 2016, the Infiniti QX80 was the only vehicle in the U.S. that was based on the Nissan Patrol. That changed when Nissan replaced the ancient original Armada with a new Patrol-based version. Now, the QX80 is to the Armada what the Cadillac Escalade is to the Chevy Tahoe. This shared lineage is primarily evident in the SUV’s greenhouse. Otherwise, the QX80 is wisely differentiated enough to stand apart from the Nissan Armada. I like the way the latest QX80 looks, especially up front. Last year’s updated styling rid the QX80 of its cetaceous appearance, replacing it with a bolder expression of Infiniti’s design language. In Limited trim with huge 22-inch wheels, it has a substantial yet sporty look. Despite high-end materials, it’s easier to spot this Infiniti’s Nissan lineage within the cabin, where it’s obvious that the QX80 is an Armada dressed up for a night on the town. Despite the shared controls and components, luxury SUV buyers unfamiliar with the Armada won’t notice. They might, however, take issue with what could be perceived as a lack of sophistication. Buttons and knobs are everywhere, and digital displays are limited to undersized driver information and infotainment system screens. Personally, I prefer old-school buttons and knobs. But I can see how a wealthy customer might take one look inside the QX80 and deem this Infiniti technologically antiquated. Wrapped in super premium leather, the QX80 Limited’s heated and ventilated front seats are quite comfortable, each providing a commanding view ahead and to the sides. You sit really high in this SUV, the driving position not unlike that of a bus, and the Limited’s standard running boards are essential to entry and exit. Second-row captain’s chairs are standard in every QX80, which seems shortsighted. A big, wide truck like this would be perfect for a family of five seated in two rows of seats with a huge cargo area. The captain’s chairs are comfortable, though, separated by a huge center console and, in the Limited, facing dual entertainment system screens embedded into the front seat head restraints. The 50/50-split third-row seat is not comfortable for adults, but proved fine for pre-teen children. However, while my family used the QX80 during a visit with relatives in Michigan, I kept them powered down unless Grandma and Grandpa were aboard. Mounted low on the center portion of the dashboard, the QX80’s climate controls employ buttons and knobs and are completely separate from the infotainment system’s screen. This is a good thing. The seat heating and ventilation controls, however, are not as user friendly. Ringed in chrome with a small notch to indicate the setting, the small knobs lack contrast, making it hard to tell whether seat heating or ventilation is on. I tested the QX80 during crisp fall weather in Michigan, which didn’t tax the heating or the air conditioning systems. The window defoggers worked effectively, though. On several occasions during the test, the QX80’s infotainment system froze up, rendering the screen and most stereo controls inoperable. Zooming the navigation map was occasionally impossible, and the voice recognition system had trouble understanding me when I attempted to program an address on a street called Gratiot. None of these attributes endeared the QX80 to me while driving in an unfamiliar area. And since it doesn’t offer Apple CarPlay, we had to rely on my wife’s new iPhone XS, which not only instantly found Cloverleaf Pizza but also knew to direct us right and then to a Michigan Left. Ultimately, the 15-speaker Bose surround sound audio system was the best thing about the QX80 Limited’s infotainment system. Which is not as it should be in a vehicle that costs this much money. Infiniti supplies lots of storage space in the QX80’s cabin, but the mix of passenger and cargo capacity is unimpressive. There is almost no cargo room behind the third-row seat (16.6 cu.-ft. if you stack to the roof). We discovered this dearth of space when picking the SUV up during a rainstorm. By the time the QX80’s power tailgate slowly raised itself and I was able to slowly power the third-row seats down, expanding cargo volume to 49.6 cu.-ft. but rendering the QX80 as a 4-passenger vehicle, our luggage was quite wet. The liftover height was high, too, and my wife’s overstuffed full-size suitcase was as close to the 50-pound limit as it could get without costing extra. Maximum volume measures 95.1 cu.-ft., but because the plushly padded second-row center console top sticks up, it makes it hard to slide anything substantial into the SUV. Though it feels huge from the driver’s seat, the QX80 is remarkably easy to see out of and to maneuver. 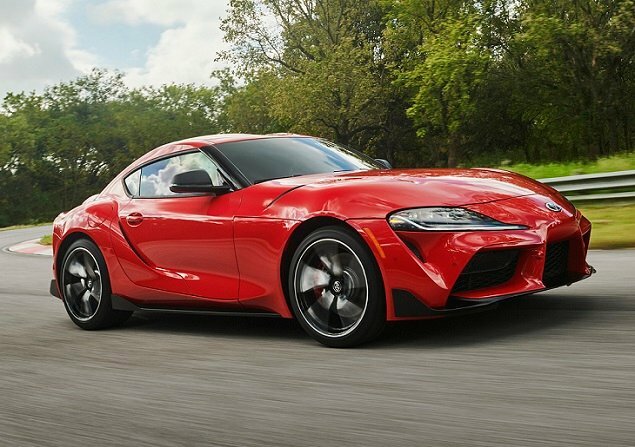 The front and rear parking sensors, the top-down 360-degree surround view camera system, and the Limited’s digital rearview mirror were particularly helpful in parking situations. A 4-year free trial of Infiniti InTouch services includes several safety-related functions, such as automatic collision notification, emergency calling, and alerts related to speed and surpassed boundaries. 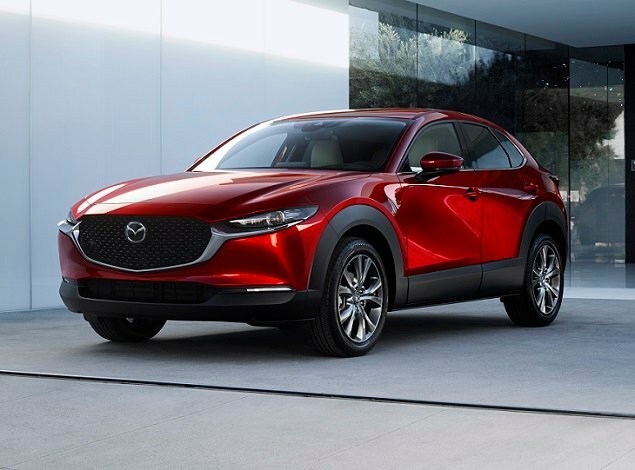 Additionally, the SUV features predictive forward collision warning with pedestrian detection and automatic emergency braking. Limited trim adds adaptive cruise control, active blind spot monitoring, lane departure warning and prevention, and automatic high-beam headlights with adaptive front lighting. These features are optional on other QX80s, and they all work effectively if not quiet with the level of refinement expected at this price point. When we picked up the QX80, it was dark and raining in Detroit. Nevertheless, the Infiniti got us out of the city and into the country without incident, the high-beam headlights casting a distant field of light as we looked for deer that might suddenly leap into the road. Crash-test ratings for this SUV are limited to 5-star side-impact performance, according to the federal government. Since the front-end restyle, new testing hasn’t been conducted. The Insurance Institute for Highway Safety (IIHS) hasn’t tested the QX80, either. One thing to note, though, is that the NHTSA gives the QX80 a middling 3-star rating for its tendency to resist roll over, and that’s true whether or not the SUV has rear-wheel or 4-wheel drive. Given that it weighs nearly 6,000 pounds when equipped with 4WD, it’s no wonder that every QX80 is equipped with a 5.6-liter V8 engine making 400 horsepower at 5,800 rpm and 413 lb.-ft. torque at 4,000 rpm. A 7-speed adaptive automatic transmission is standard, offering Manual, Snow, and Tow modes, with downshift rev matching in Manual mode. Maximum towing capacity is 8,500 pounds. Power flows to the rear wheels unless the QX80 is equipped with the All-Mode 4WD System, which supplies Automatic, 4-Hi, and 4-Lo settings. Ground clearance measures a generous 9.2 inches. In spite of it’s near 3-ton curb weight, the QX80 exhibits smooth, powerful acceleration, and the transmission is flawless. Merging into fast-flowing traffic was no trouble, even on the short on-ramps of older sections of Interstate 94 north of Detroit, and we were able to easily pass slower vehicles on the country 2-lane roads near Port Huron. Predictably, the Infiniti QX80 is not an efficient vehicle, even by full-size SUV standards, and premium fuel is recommended for the V8 engine. With 4WD, it is rated to get 13 mpg in the city, 19 mpg on the highway, and 15 mpg in combined driving. Given the 26-gallon gas tank, you can expect to travel 390 miles between stops at the gas station. Over the course of nearly 400 miles in four days, much of it covered on highways, the test vehicle returned 16.7 mpg at an average speed of 42.8 mph. In Limited specification, the QX80 features pro-active vehicle speed sensitive steering and a hydraulic body motion control system for the 4-wheel independent suspension. The SUV’s 22-inch forged aluminum wheels are wrapped in 275/50R22 tires, and ventilated disc brakes are located at each corner. If you like driving trucks, you’ll feel right at home in the rough-riding QX80. Tested in Michigan, where the roads are often in need of repair, the QX80 wasn’t shy about conveying the state of the crumbling pavement. On sections of recently repaved roads, however, the Infiniti sailed smoothly along in silence. Slow steering makes parking and executing U-turns more effort than is expected, and the QX80’s brake pedal is rather mushy in terms of feel. Handling is adequate, the QX80 rounding freeway exit ramps in secure fashion. Good looks sell the Infiniti QX80. It is a handsome SUV, clearly conveying luxury and class. And as long as you don’t need to use both the third-row seat and the cargo area at the same time, it is a comfortable and capacious vehicle. 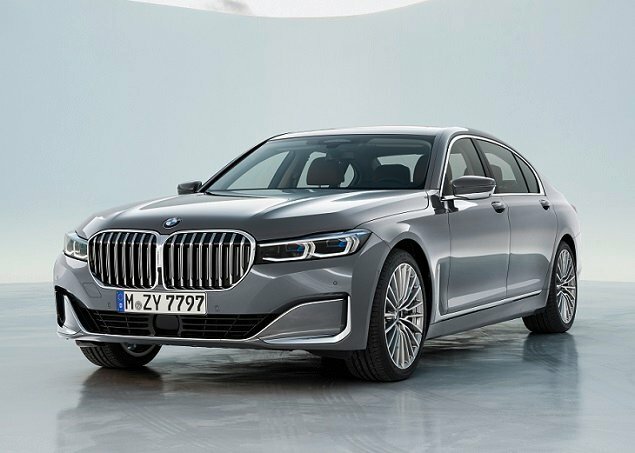 At the same time, it is clear that a redesign is necessary in order to improve the SUV’s efficiency, enhance the driving dynamics, and modernize the interior and its technology. Luxury SUVs based on mainstream models are only as good as the donor vehicle. In the QX80’s case, the donor vehicle is a decade-old off-roader designed for severe duty use all around the world. That shows from beneath the leather, wood, chrome, and sparkly paint. Nissan North America supplied the vehicle used for this 2019 Infiniti QX80 review.